Location Location! Location!! Beautiful, well maintained and in turnkey condition! 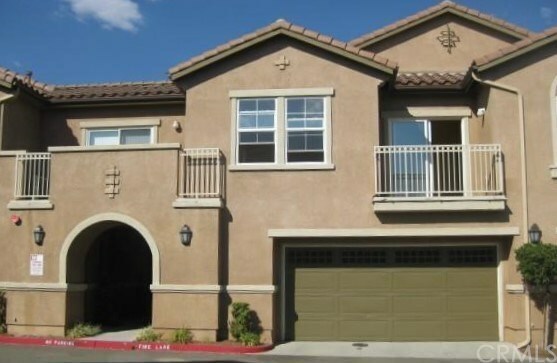 Enjoy living in one of the most desirable complexes in Rancho Cucamonga near Victoria Gardens Mall! This lovely home features upgraded tile flooring and plush carpeting in the bedrooms. The open floor plan of the kitchen flows nicely into the dining area and family room! The Chef's kitchen boasts breakfast bar for those quick meals, tons of cabinetry and a separate pantry! Master Bedroom has a huge walk-in closet and In-Suite full bathroom w/oversized tub/shower combo & dual sinks! After a long day, Lounge on your private balcony off the Master Bedroom or Relax on your Second balcony off the dining area which offers the perfect spot for BBQ grill & nice open view!. The Complex has plenty of guest parking and a park for the kids to play at. There is also a spa like pool and hot tub and there are BBQ & Picnic areas for you to have a gathering at. Come view this lovely condo today.